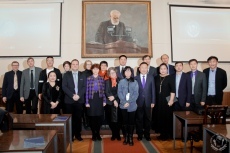 of the mind and soul to such an extent that medicine can"
The Consulate General of Japan in St. Petersburg invited Mrs. Fumi Murakoshi, an associate professor at the Kyoto Prefectural University of Medicine. 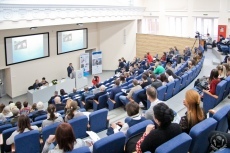 the VI International conference "Modern biotechnology for science and practice" will be held again from April 25-26, 2019, in St. Petersburg, Russia. It will focus on the topic: New biotechnology approaches in biology and medicine. 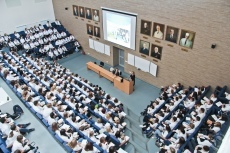 The event is dedicated to the 120th Anniversary of dental education in the Russian Federation "Dental education and science of the XXI century". Venue: St. Petersburg, Lev Tolstoy street, 6-8, building №4, lecture hall №5. Date: January 25-26, 2019 Contact person: Ph.D. Natalia Pakhomova, tel . : 89312049687, email: dr.pnv25@yandex.ru. 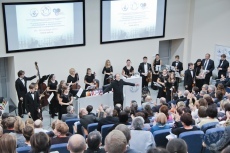 The event was held in the Grand Hall of D.D.Shostakovich St. Petersburg Academic Philharmonia. Guests were greeted by Rector Sergey Bagnenko. We invite the colleagues to take part in the 2nd International Scientific and Practical Conference "Minimally invasive technologies in the treatment of pelvic prolapse and urinary incontinence among women". This event will be dedicated to the 150th anniversary of prof. D.I. 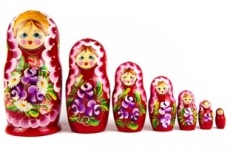 Shirshov. The conference will be held on 30th October ,2018 at ExpoForum. 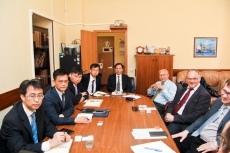 Delegation from our Univeristy visited Warsaw Medical University on 15th October, 2018. We invite you to take part in Russian Congress with international participation "Days of Rheumatology in St. Petersburg - 2018" on 1st -3rd November 2018. The meeting was held in a nice place of the downtown Antwerp - Convention Center Elzenveld.The Honored Doctor and the Visiting Professor of Pavlov First Saint Petersburg State Medical University Prof. Dr.med.Dr.h.c. Bert Schmelzer was the Chairman and the host of the XXXII Annual Meeting of the International Academy of Otorhinolaryngology-Head and Neck Surgery (IAO-HNS) and the X Jubillee Marius Plouzhnikov Memorial Lecturing. On 20th -22nd September 2018, XII International Symposium of Remembrance of R.M. 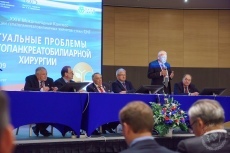 Gorbacheva "Hematopoietic Stem Cell Transplantation: Gene and Cellular Therapy" will take place in St.Petersburg. 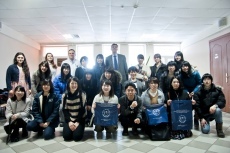 The visit was held in a warm and friendly atmosphere. 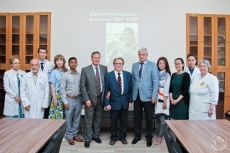 Three Canadian clinical residents visited our department of Neurology, headed by the academician of Russian Academy of Sciences A.A. Skoromets. 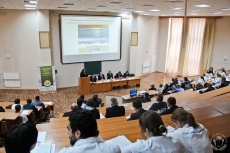 This event is dedicated to the 135th anniversary of Academician of the USSR Academy of Medical Sciences, Professor I.I. Dzhanelidze. Dear Colleagues and Friends,Scientific and Methodological Center for the Russian Health Ministry on Molecular Medicine, Pavlov First St. Petersburg State Medical University, the Federation of laboratory medicine and "Medical information-analytical centre" are glad to announce that the V International conference "Modern biotechnology for science and practice" will be held again from April 26-27, 2018, in St. Petersburg, Russia. It will focus on the topic: New biotechnology approaches in biology and medicine. This award is given to scientists and scientific organizations for outstanding contribution to the development of science. 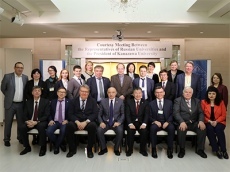 Kanazawa University Kick-off Symposium for MEXT 'Inter-University Exchange Project' -'Training Program for Russia-Japan Innovative Leaders of Tomorrow' took place in Kanazawa on January 17th, and more than 120 people participated from home and abroad. Scientific and Educational Institute of Biomedicine in our University and North-West Medical Academy named after I.I. Mechnikov with the support of St. Petersburg Society of Pathophysiologists organize this conference. 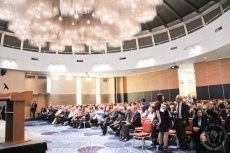 Organizers: Russian Respiratory Society, Ministry of Health of Russian Federation Venue: Park Inn Radisson "Pribaltiyskaya", St. Petersburg, Vasilevsky Island, Korablestroiteley str. , building 14. 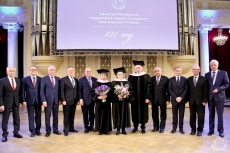 President of the Congress: Corresponding Member of Russian Academy of Sciences Professor G.B. Fedoseev. Vice-presidents of the Congress: Professor V.I. Trofimov, Professor N.L. Shaporova. The visit was held in a warm and friendly atmosphere. An English video about our University was shown to Chinese colleagues. The Chinese side also demonstrated a video about Chinese-Russian Innovation Center, established in Qingdao (China). 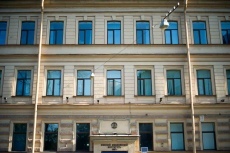 Both sides discussed the possibility of creation such Innovation Center on the territory of Pavlov First St.Petersburg State Medical University. Both sides expressed interest in establishing and developing bilateral relations in the field of science, education and medicine. Today, on 26th September 2017, Our University celebrates 120th Anniversary from its foundation. Find more about the main areas of the conference program. Congress will be held on 9th-10th February 2018 in our University. 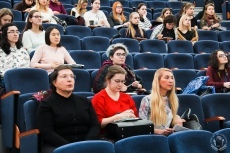 International Scientific Conference "Actual problems of the development of higher medical education in Russia XVIII - XXI centuries" was held in our University on 9th November 2017. 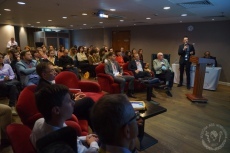 From 19th to 22nd September 2017, the XXIV Congress of the Association of hepatopancreatobiliary surgeons of CIS countries "Actual problems of hepatopancreatobiliary surgery" took place in St.Petersburg. From 14th to 16th September 2017, International Symposium took place in memory of R.M. 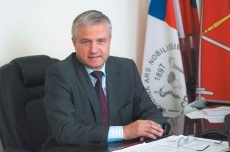 Gorbacheva "Hematopoietic Stem Cell Transplantation. Gene and Cellular Therapy”. 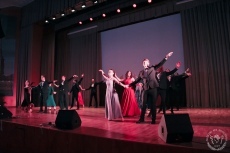 On 2nd June 2017, the traditional festival "We are the future doctors of the world" was held in the concert hall of the Petrograd district Administration. 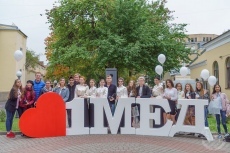 This event was dedicated to the 70th anniversary of medical faculty of foreign students in our University.